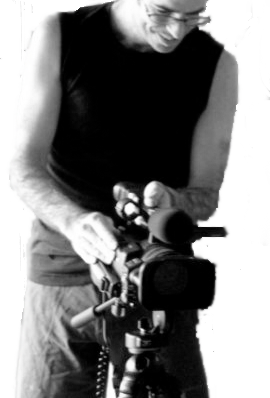 Chris Johns is a Sydney based freelance documentary filmmaker. His work spans from observational documentaries to full in-house production of commercials, promotional videos, podcasts & DVDs. He recently directed and produced a university online yoga course for RMIT Melbourne. After working on several short film projects in Mexico, Chris returned to Australia in 2005 to study film at the University of Technology, completing his Masters in Media Arts Production in 2007 with distinction. Chris’ projects often reflect his keen eye for humor. He sees film not just as a means to shine light on a situation but rather a means to enlighten. His projects are uplifting and thought provoking. Chris’ versatility across a whole range of technical and creative aspects of filmmaking has led him to take on combined roles ranging from producer/director/cinematographer and editor. His commercial background coming in handy to scale up projects whilst remaining within budget. Chris has a fascination for languages and cultures, and curates the Sydney Latin American Film Festival.